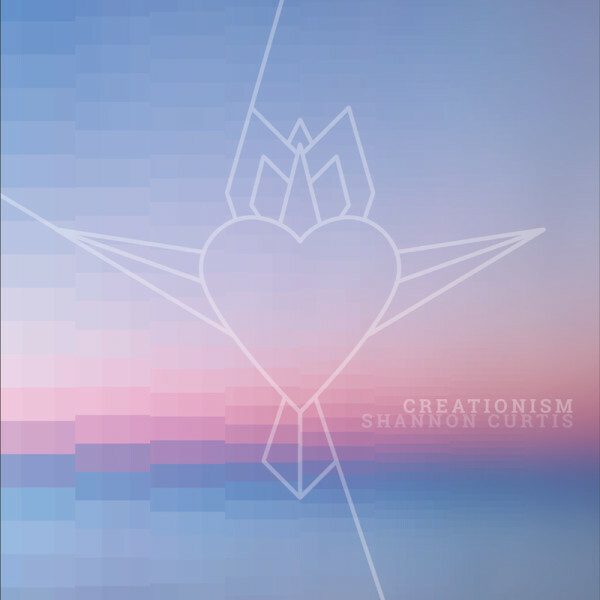 If you’ve been following along with our crazy artistic adventures lately, you probably know that we’ve been hard at work for the last couple of months on a brand new full-length album called CREATIONISM. You may have even seen the video for the first single, “Who Do You Think You Are,” which has been making a big impact on people around the world on Facebook and YouTube. And you guys – we are so excited to get the rest of this album out into the world. CREATIONISM is inspired by the idea that all of us, together, are creating the world that we share with one other. I actually wrote a thesis statement for the album. Wanna read it? “We are all creative people. I don’t mean that we are all songwriters, painters, or poets. I mean that we are all creators. Whether we do it consciously or not, we are constantly creating the world we live in. Every decision you make, every action you take, every time you open your mouth to speak to another person and you choose to speak, either in fear and anger, or in kindness and love, that’s one swipe of your paint brush. That’s one verse of your song, one stanza of your poem. We all live inside the creation that we are collectively constructing every day, every hour, every breath of our time alive on this planet. CREATIONISM is a reflection of the fact that my life is inextricably intertwined with yours. Along with my husband Jamie, I’ve chosen to make my career a direct partnership with the community of people who support our music. We do what we do with you, for you, and and we could not do it without you. Putting out an independent album is a huge undertaking. It requires a lot of time and a bunch of resources. We are very nearly there with CREATIONISM, but we’re going to need your help to take it all the way. So I’m asking you to help us by supporting our “Bring CREATIONISM to the World” fundraiser! This fundraiser works in two ways. Not only will it provide the resources we need to finish our project … it also gives the people who support us a chance to be directly involved in helping us do the work that we do. This is community in action. Step One: Finish the studio production. This is the hands-on “making the record” phase – it’s the most time-intensive and costly part of the process. By the time we’re finished, Jamie and I will have invested well over 500 woman- and man-hours in the writing, producing, recording, mixing, and mastering for the 10 songs on this album. Up to this point, Jamie and I have fronted all these costs ourselves, but we have a little way to go yet before everything’s complete. Step Two: The album will go to manufacturing, where the physical product will be produced. As with my previous albums, we’re crafting a really gorgeous CD package, with deluxe fold-out artwork, photos, and all the lyrics. And we’re making plans again this year to make the album available on vinyl! Step Three: We’re creating a companion coloring book to go along with this album! This is going to be so fun. The book will include coloring pages inspired by each of the 10 songs on the record, drawn by a super-talented artist friend of ours who we’ll be hiring, as well all the song lyrics and a bit of writing I’ve done about the meaning behind each song. I’m so excited about this. GOAL ONE: The minimum amount we need to raise is $5,000. This will help support us while we finish making the album, and will pay for the final product to be pressed on CD. GOAL TWO: If we raise $8,000, we’ll also bring Personal Songs Volume 2 into the world! We did this two years ago with Personal Songs Volume 1, and it came out awesome, and we’re super excited to do the next installment. Like Volume 1, this album will include 10 of our favorite personal songs that I’ve written for my community over the last couple of years. (A whole second album of new material!) Reaching this goal will also cover the costs of producing the companion CREATIONISM coloring book. GOAL THREE: If we raise $11,000, we’re going to press CREATIONISM on vinyl! We did this last year and oh my gosh you guys it sounds SO GOOD. If we reach this goal, we’ll mail a copy of the vinyl record to everyone who’s contributed $100 or more during the fundraiser. GOAL FOUR: If we can raise $15,000, we’re going to bring on board some talented filmmaking people to help us produce a short documentary film of this summer’s house concert tour. This tour is a phenomenon that’s unique to our amazing community, and we would love to tell the world more about it. You can help us do that if we get all the way to our highest goal! We’ve put together some really fun and special thank-you packages for all of our supporters. 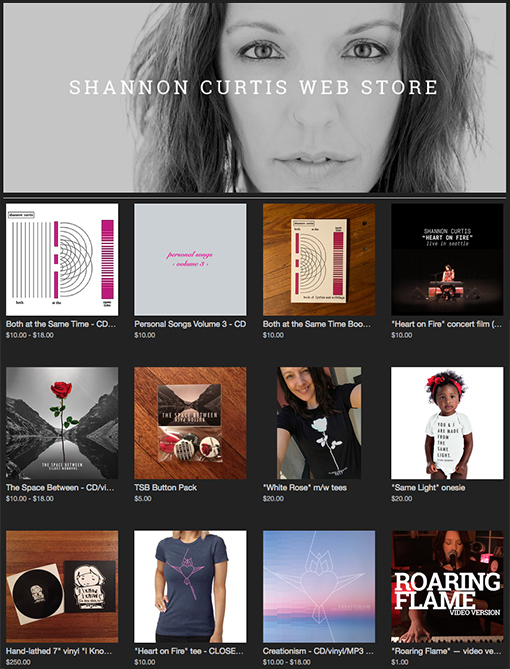 We have CDs and beautiful tees and totes for some of our smaller contribution levels, and we have some really exciting bigger packages available too. And everything in between. If you want to support what we’re doing, there’s a thank-you package that fits where you’re at. Whether you choose to go big or small, any way that you are able to participate in this effort gets us that much closer to our goal. The power in crowdfunding is in the crowd. If just 500 people contribute at the $10 level, then we’ll meet our minimum goal. If 300 people participate at the $50 level, we’ll reach our biggest goal. Thank you so much for your love, your support, and your encouragement of our crazy artistic adventure. I’m so grateful that you are my community, and my partners in bringing a message of love and inspiration to the world through music. Click on “support this project,” and let’s do this! Next Post: Well, it looks like we’re making a film!